Doña Irma, a participant in Candelaria, shared her experience making protein-rich mealworm powder from her home-farm. With the powder, she made protein pancakes that tasted like chocolate. Her advice to those who want to roast their own mealworms is to make sure the pan isn't too hot! Check out the full interview, translated from Spanish, on our site here. The farms in San Martín, Retalhuleu and Malacatancito, Huehuetenango are going well. 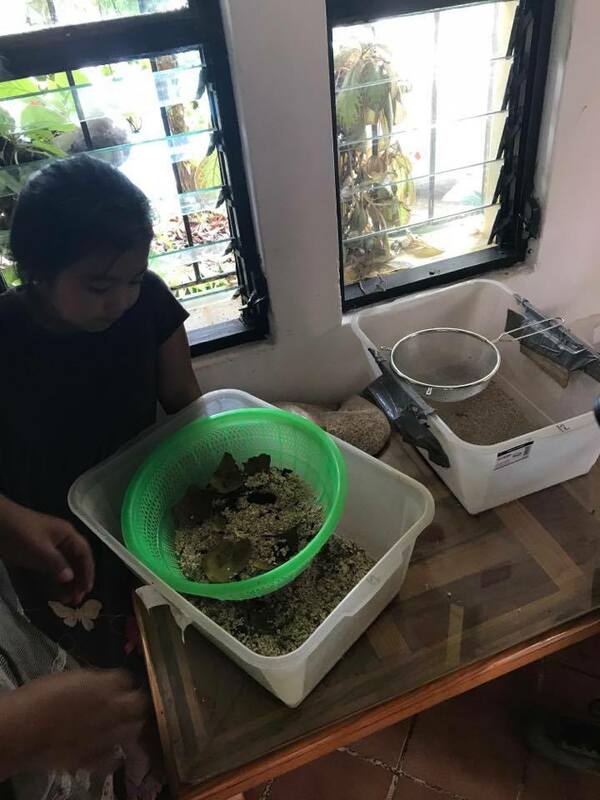 In Reu, a department along the coast with a much warmer climate than Xela and Huehue, the family is experimenting with hairnets over their farms to keep out flies. In Huehue, the group of women who are training to teach the MealFlour program are also beginning to discuss how they can help their communities turn the farms into small businesses. At the end of July, MealFlour held its first Xela fundraiser in the city! The community chatted with the team, learned more about the program, and of course tried cookies made with mealworm flour. The collected donations will go towards our train-the-trainer program, and we are excited to work more with the city in the future to expand the program. On August 3rd, the MealFlour team will travel to Guatemala City to present their work to the Guatemalan Ministry of Agriculture.